Every Monday through Thursday, The Pour raises the bar for happy hour from 4 to 6 p.m. Favorite local musicians perform Live@jadebar 7 to 10 p.m. on Thursdays and 7 to 11 p.m. on Fridays and Saturdays. Saturdays at noon, the jade bar mixologists host Mixology 101, an interactive cocktail hour where a small number of guests learn tips and techniques along with tastings. Also ask about two-hour private sessions for groups of 10–16. Experience a blend of classic favorites and exciting choices at the newly renovated Asian-inspired spa. These include Standup Paddle Board Yoga, various private classes focusing on your personal goals, and the HydraFacial treatment that delivers long-term skin health along with immediate results. Make time for relaxation and renewal with signature specialties like the Wild Lime Blossom, In Harmony, Sanctuary Salt Stone, and Watsu® aquatic massage. 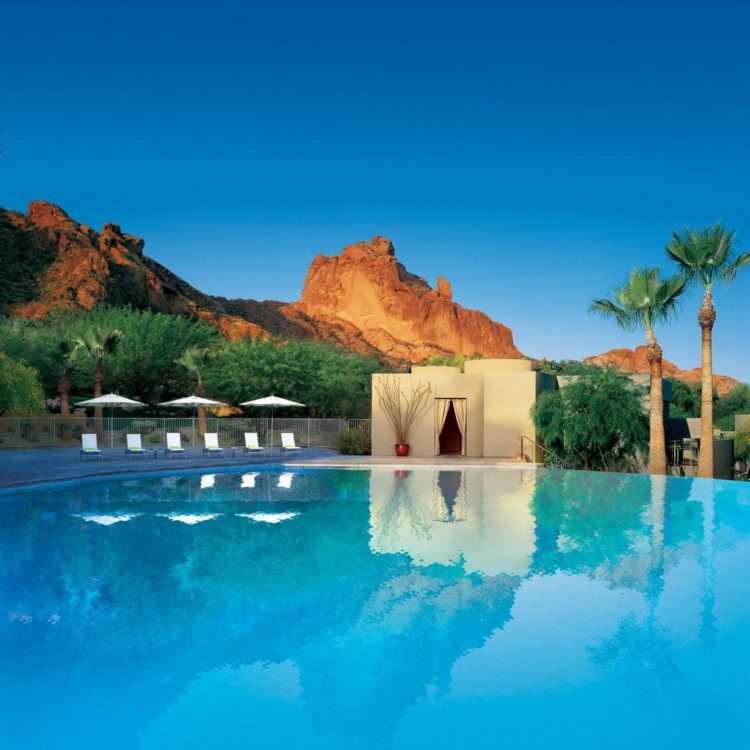 For dining at elements, spa treatments, a relaxing getaway, or any special event at Sanctuary Camelback Mountain — 5700 E. McDonald Drive in Scottsdale — call 833.212.5807 or visit SanctuaryAZ.com.